E-commerce is an exciting prospect for many; the ease with which it can be set up, along with the long-term benefits it offers for the growth of your business are the major factors that pull business owners towards e-commerce. Entrepreneurs and small business owners have steadily started taking interest, expanding their presence and building their own brand online. But the most important thing to consider is: Is this the right way for your business and how to get started if it is? Knowing your niche is essential to your business. If you have something unique and different than the rest, take that niche and delve into it, deep. Picking a specialized niche and expanding in it is the secret to success. With Jumia and Konga deeply entrenched in the culture of shopping in Nigeria, starting in a niche is often the best way to succeed. As a business owner, you have a business model, a certain way in which the operations of your business take place. Make sure you have an e-commerce strategy that integrates with and complements your business strategy. 3. Do you have adequate budget for an online presence? E-commerce requires some money and time, and more for marketing your business online. You have to evaluate and organize and invest enough time and money to be successful online. Are you willing to invest? You can start with an e-commerce software like BigCommerce that does a lot of the heavy lifting, leaving you to concentrate on tasks that are more deeply relevant to your business. 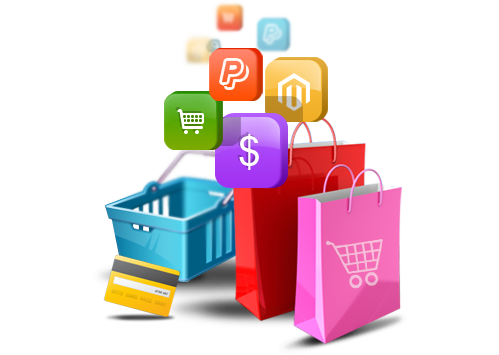 You need to buy and host the e-commerce software as well as market and promote your business. You can sell anything online. Not just mobile phones, T-shirts, books, DVDs or music. It can also be used to sell services and memberships and such, so don’t be hesitant. Whatever you are selling, you can set it up online. No need to explain the importance of market research. It is necessary that you test out whether your niche or product has an interest group and whether you can scale it up in the future. Nobody likes delayed or bad service. Make sure that your product is ready to be shipped as promised by you when you launch your e-commerce website for public use. Regularly be in touch with your suppliers or distributors or whoever works for you. Don’t hesitate to go the whole hog; the more you embrace the technology that is out there nowadays, the more you will attract customers to your website. There are a lot of tools to help you analyze you customers in order to better serve them. 8. Which e-commerce platform to go for? This is basically the most important of all questions. The e-commerce platform you choose for your business plays a huge part in the growth of your business and how you maintain your online presence. Some options for easy e-commerce solutions are: Shopify, BigCommerce and WooCommerce. Don’t forget to research and pick the best one. You need to invest in marketing after you have launched your website, so plan and organize your resources accordingly.